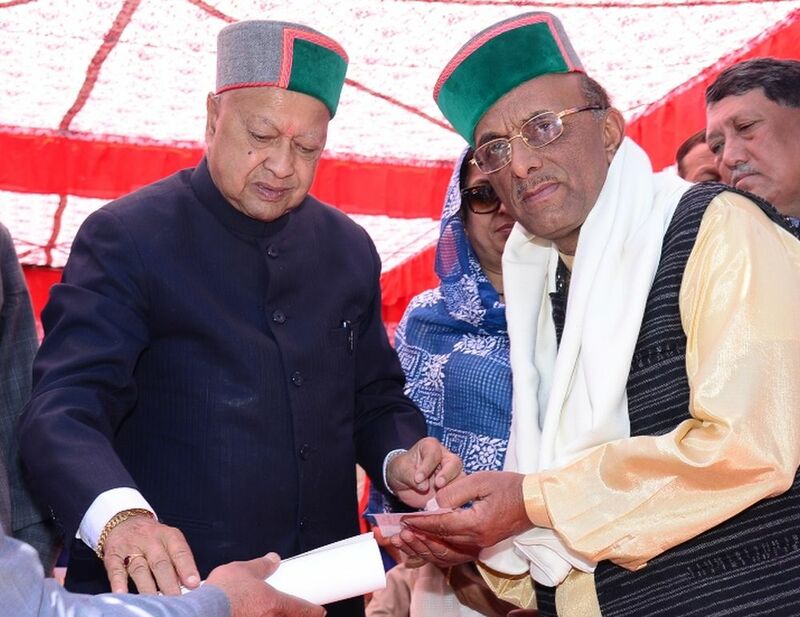 Chamba: Chief Minister Virbhadra Singh today presented State level Himachal Gaurav, Prerna Srot, Civil Service and Innovation awards. Virbhadra Singh, in the State level 70th Himachal Day function at Chamba, honoured Dr. Krishan Lal Sehgal with Himachal Gaurav Award in field of folk music, Dr. Rajinder Verma commandant of 17th battalion of Indo-Tibet Border Police (ITBP), Reckong Peo in Kinnaur district and international Kabaddi player from Dhabota, (Nalagarh). Besides the group of police personnel including Station House Officer, ASI, Kulwant Singh, head constable Sher Singh and Constable, Inder Singh, Roshan Lal and Rajesh Kumar were also with Himachal Gaurav Puruskars. The Chief Minister conferred State Level Civil Service Award to district administration Shimla which was received by Deputy Commissioner, Shimla, Rohan Thakur. The State level Prerna Srot awards were conferred upon Dinesh Sood, Lecturer in GSSS, (Boys), Nahan of Sirmaur district. Under State innovation award scheme, Dr. Kamal Sharma from Dr. YS Parmar University of Horticulture and Forestry, Nauni in solan district was honoured for introducing new commercial crop with early bearing technology and improved genotype for economic cultivation in monkey inhabited areas. 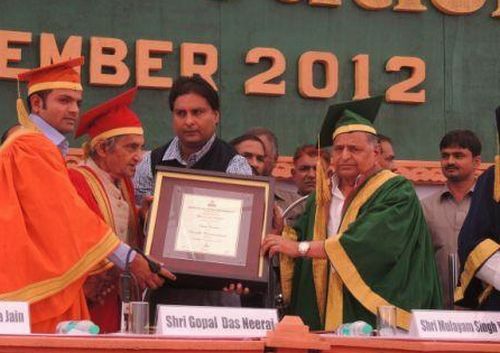 Dr. Sanjeev Thakur of Dr. YS Parmar University of Horticulture and Forestry was also bestowed with the honour. Dr. Sudhir Sharma, Associate Professor, department of Neurology, IGMC, Shimla was honoured for HP Tele-stroke project. Punam Ghai, w/o Brij Bhushan Ghai of RR Enterprises for awarded for ready to cook spice mix, and Principal DIET, Mandi and Director Town and Country Planning, Himachal Pradesh honoured for e-service project respectively. DSP, Dalhousie, Sagar Chand was also awarded for commendable services for ceasing haul of drugs, Jeet Singh Xen HPPWD, Chamba for his exemplary work, DPO, ICDS, (Child care), Kapil Sharma for playing a pivotal role in prohibiting child marriages in the district and Tehsil Welfare Officer Tissa and Salooni for actively working for welfare of the people. Besides, Hamid, Chaman, Ravinder and Reena Roy from Chamba police were also honoured for their services.